Australian Media "made Pell personify the sins of the Church"
For those who consider Cardinal Pell guilty as sentenced and wonder why some Catholics (quite a lot of Catholics) are sticking up for a convicted child abuser, it might be worth watching this report. 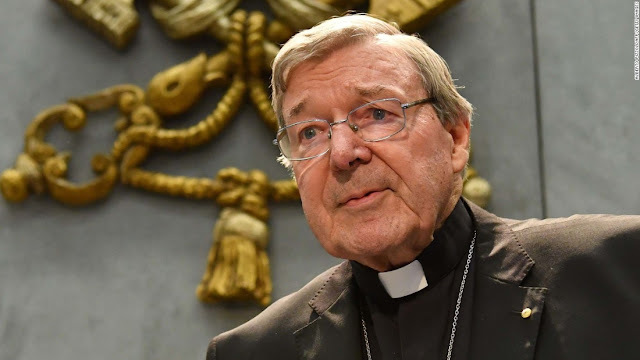 Serious questions about Cardinal Pell's conviction are raised by Peta Credlin in Australia who notes the Cardinal's innovations to deal with abuse and the zero tolerance policies he himself put in place. She also articulates the fact that what made Pell hated was his adherence to orthodox Catholic teaching in an environment which is now rabidly anti-religious. Credlin says she has had to confront the reality that either the Church or the law is wrong in this instance...and it looks like the it's law because there is a very difference standard applied despite the fact that Catholic schools, hospitals and charities have undoubtedly done more good than harm. EWTN also aired the analysis below by John Macaulay, a former altar server for Cardinal Pell at the Cathedral who has followed the trial closely. Maccaulay says operation tethering was a dirt finding exercise which breached Australian rights. It meant Pell was defending himself with one hand tied behind his back. 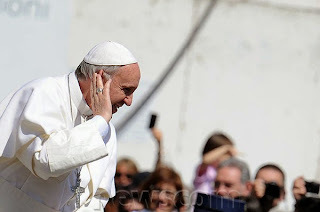 His testimony about what happened after Mass at the Cathedral is both what one familiar with Catholicism would expect and also very interesting in the context of the conviction. Macaulay explains that there were twenty crown witnesses brought by the prosecution who all provided alibis which showed Pell could not have abused his accuser. These witnesses were all ignored by the jury who convicted him on the uncorroborated evidence of one witness. Macaulay explains why Cardinal Pell has been a lightning rod for twenty years. When Pell became archbishop of Melbourne in 1996 a group called the rainbow sash would go to Mass and go up for communion. 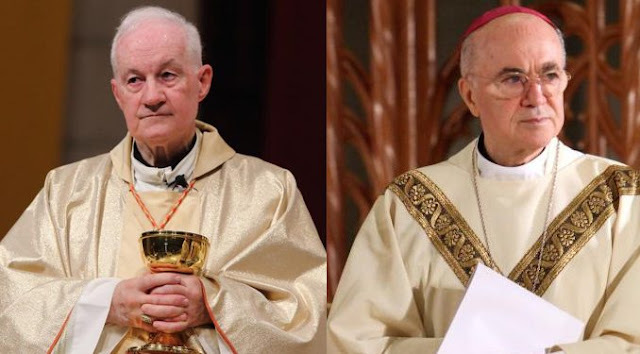 Pell would gently explain that they could not receive the Blessed Sacrament, not because of their homosexuality, but because they were making a protest at a sacred time and place. This led to a real demonisation of Pell in the media. He became the face of orthodox Catholicism and therefore the point of attack for all the secular pressure groups we know who are so vocal around the world today. Macaulay considers that the Church is very much on trial in Australia with not just clergy but also lay Catholics who are under attack. 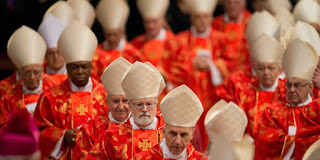 It is a tragedy that the Cardinal is not allowed to celebrate Mass now, he has no breviary and is not allowed to say Mass. He does have a Bible. He spends 23 hours a day in solitary confinement and is allowed a single visitor a week. Please remember him in your prayers!